Key personnel at the launch of the 2016 Australian Defence White Paper, the Integrated Investment Program and the Defence Industry Policy Statement. 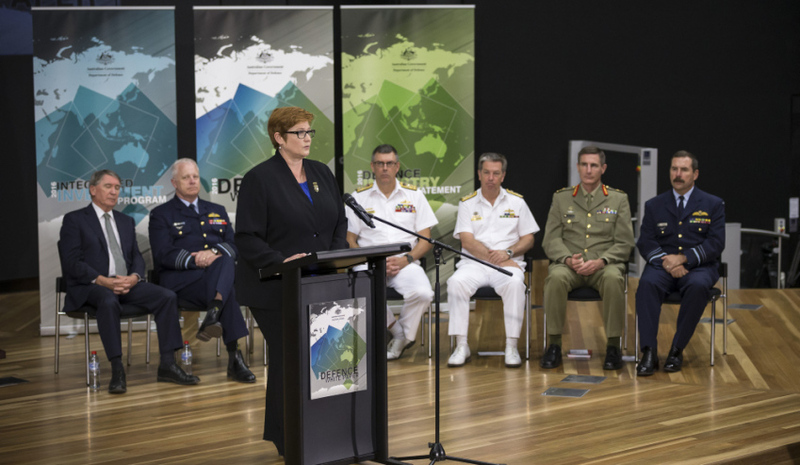 The Australian Industry & Defence Network (AIDN) has released the first two of its planned series of policy positions as part of its ambitions to assist with the implementation of the Defence and Industry Policy Statement (DIPS). AIDN, which is made up of state and territory chapters, is an industry association for small to medium enterprises (SMEs) wishing to do business in the defence and security sectors. Established in 1995, AIDN represents the interests of Australian SMEs in these industry sectors through advocacy, representation and member services. In the foreword of the policy position, AIDN's national president Alan Rankins said, "AIDN has a vital interest in industry policies that promote the interests of SMEs. "In this regard AIDN stands ready to assist the implementation of the Defence and Industry Policy Statement wherever it can and looks forward to a strong partnership with the Centre for Defence Industry Capability (CDIC)." The two policy areas covered in the release are innovation and sovereign industrial capability (SIC) and sovereign industrial capability assessment framework (SICAF). AIDN said this edition of its SME policy position proposes a strategically formulated set of key objectives to be used in Defence projects to recognise industry as an fundamental input to capability (FIC) and support other policies contained in the DIPS. The advocacy organisation said it is ideally placed to assist government in the formulation and development of the SICAF and with the CDIC, and is providing ongoing assistance to Defence in SICAF development proposing a framework that includes a three-horizon approach within capability streams and has provision for SME set-asides where it would be advantageous to do so. AIDN also said it has a role in innovation policy and implementation. It sees that both policy objectives will require a longer term strategic approach to reach full maturity. In the shorter term, AIDN considers that the recognition of industry as an FIC requires a reconsideration of the way industry capability is viewed in Defence projects. Consequently, this edition of the SME policy position looks at range of objectives to support industry’s status as an FIC. The organisation said Defence and industry must work hand-in-hand to ensure its goals become a reality. "It is vital that Defence and industry achieve and maintain the step change in Defence approach required to ensure “industry as [an] FIC” becomes a reality and sustainable, particularly for SMEs. AIDN will continue to be at the forefront of that effort," AIDN said. AIDN members received access to the SME policy position via the AIDN extranet. AIDN said public will gain access to the policy position via its website in due course.